Let anyone who comes to you go away feeling better and happier. Everyone should see goodness in your face, in your eyes, in your smile. 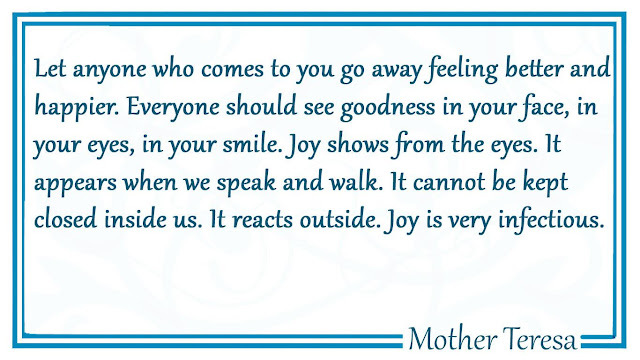 Joy shows from the eyes. It appears when we speak and walk. It cannot be kept closed inside us. It reacts outside. Joy is very infectious.